of heresy and death by fire. Tyndale`s translation of the New Testament in English. 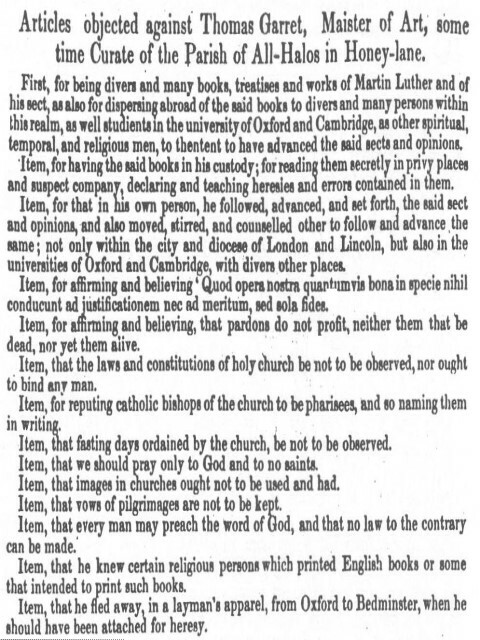 Tyndale, some of Luther`s works, and those of Oecolampadius. Dalaber took refuge with friends at St Alban`s Hall. market place in Oxford. Garret and Dalaber were then confined at Osney. 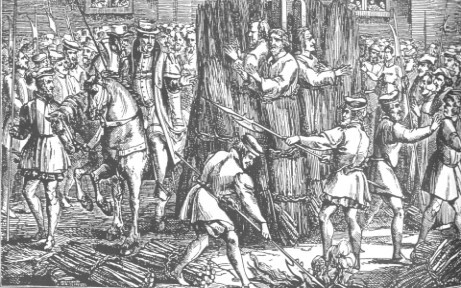 were executed by hanging, drawing and quartering for the crime of popery.